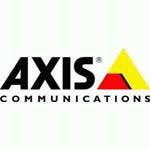 Axis provides 3 years limited hardware warranty depending on the product. The Extended Warranty is a service available for purchase to extend the base Warranty. It covers cameras, video encoders, video decoders and physical access control products, and is sold in 2-year extension blocks for a total warranty period of maximum 5 years. You need to order and register the extended warranty within 6 months from product purchase. The Warranty includes defects in design, workmanship and material under normal use for a period of 3 years from the date of purchase. Defective products under the warranty period will either be repaired or replaced at no cost to the customer. 1. Order a warranty code that includes as many warranty extensions as you need, for a total warranty period of maximum five years. 2. Collect your network video products in a site in MyInventory. 3. Redeem the warranty code in MyInventory. 4. Finally, register warranty extensions for each network video product in MyInventory.